The Starch Paste Kettle we fabricate and develop is a specially designed unit for application in pharmaceutical processing units. 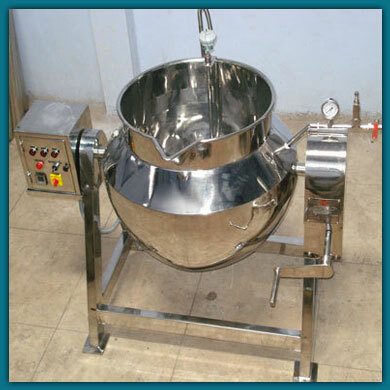 It is used for preparation of binder materials which are highly used in medicine and food industries. We are considered as the best Paste Making Kettle Manufacturer and Starch Paste Mixing Kettle Exporter from Ahmedabad India. Documentation like DQ, IQ, OQ and FAT provided with the machine.